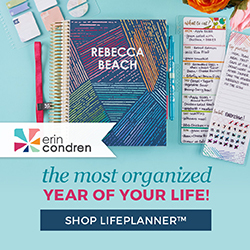 I came across this little gem of an idea while scrolling through Pinterest one day. I had an epiphany! 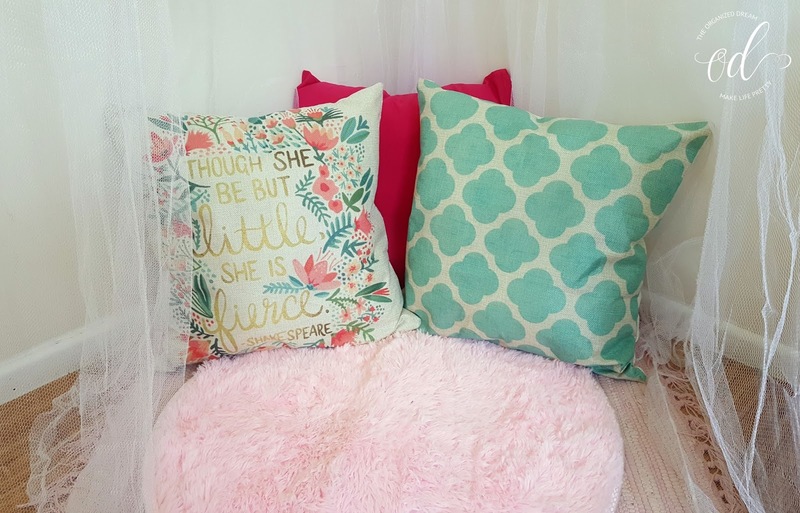 I knew a reading nook is what I wanted to have in my daughter's bedroom since she's been needing a little makeover in there anyway. I showed her my inspiration and she immediately got excited. I looked at a few different places and refused to even look at some of the prices for these little tents. Seventy-five dollars?! Are you kidding me? Well, needless to say, I came up with a game plan to create my own using simple things you can find almost anywhere. Here's how it went down. 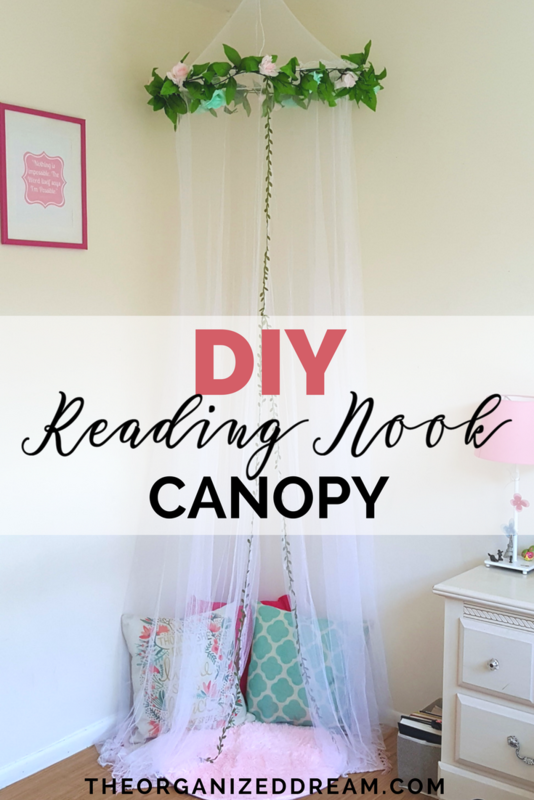 After deciding what colors we wanted to go with, we thought about what we wanted the reading nook canopy to look like. I made the executive decision to keep it light and airy since her room isn't that big. I found a plain mosquito net. The one I purchased didn't have a slit so I had to make one, but that was okay because I decided the canopy would be better if it didn't open all the way to the top. 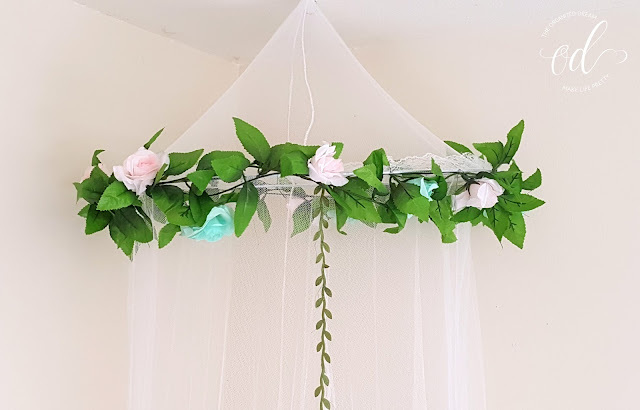 We found some floral vines with light pink and light blue roses on them. These were inexpensive and easy to attach. I just used some thread to tie them to the net. 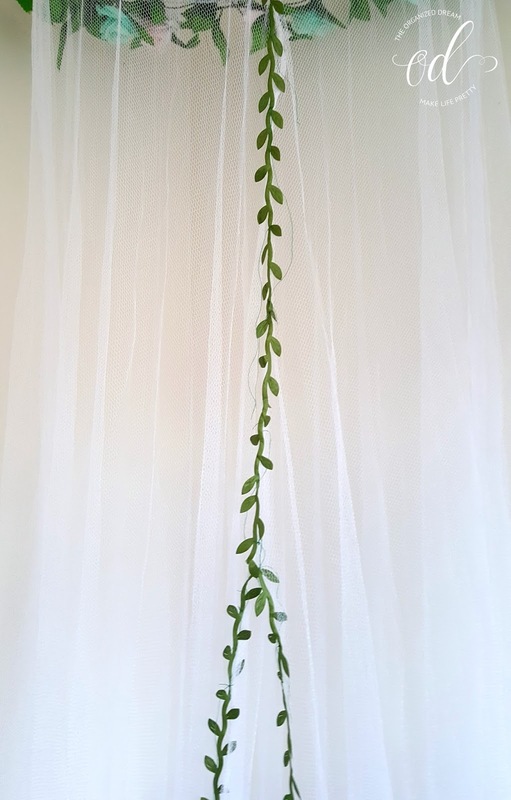 I also found some small vine-style ribbon that I tacked into place with thread as well...I forgot to trim the excess thread though. Can you see those little green strings? Whoops! I wasn't able to find pillows I liked to match so I purchased pillow covers (which are a heck of a lot cheaper by the way) and filled them with fiberfill. A couple of throw rugs cover the floor. It's actually pretty darn comfy! I love the quote on this pillow. It fits perfectly! 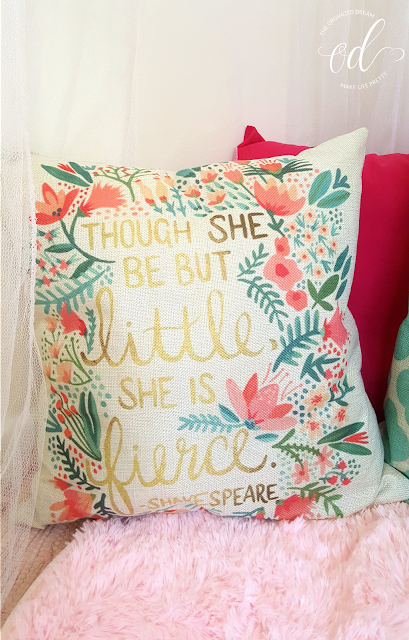 Anyone who knows my daughter knows she definitely little and definitely fierce. 😊 I also love the fact that I was able to find an author quote because it fits perfectly with the whole reading nook idea. All together, this project didn't cost that much and my daughter now has a designated place to curl up and read a book. This little nook has become her new happy place.